DJ Khaled—living proof that Instagram is the key to everything—will be opening for Beyoncé on her upcoming Formation Tour. Very high 🔑, WE THE BEST, etc etc. The social media mogul who moonlights as DJ and producer announced the news via Instagram, with a video in which he spliced himself into Beyoncé’s official tour announcement and a very, very long caption. Rather appropriately, DJ Khaled wears a sweatshirt that reads “blessed,” and boy does he seem excited. When I was a kid THEY told me no when I wanted to DJ and perform in the club! So guess what, I did!!! OPEN FOR BEYONCÉ!!!!!! Fan luv we did it! We made on the stage with the Queen. Get ready to feel passion pain success and tears of joy in a STADIUM NEAR YOU!!!!! And I know what you’re thinking: No, DJ Khaled does not rap or sing or dance. But now that pre-show DJ set that was usually performed by some local radio host or an iPod will be handled by DJ Khaled. 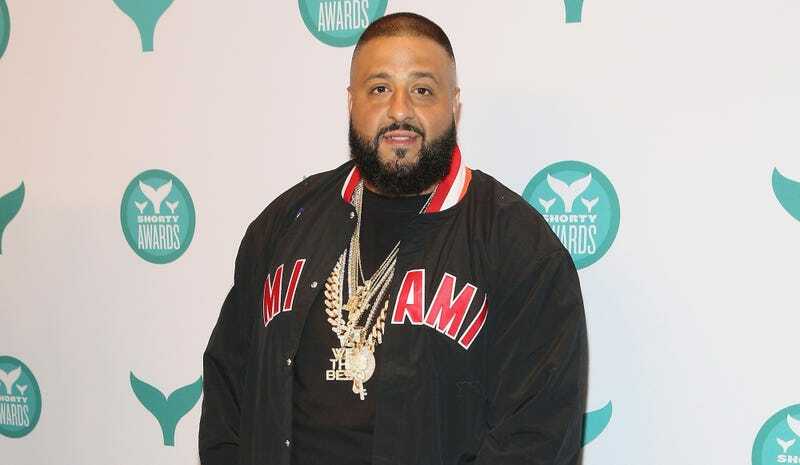 Congratulations, Khaled—MAJOR 🔑, indeed. It seems that DJ Khaled’s original post was removed and replaced with something even more glorious. The caption is mostly the same. Did Beyoncé’s team not like that DJ Khaled spliced himself into her video? Perhaps. Or maybe the social media titan thought it would be more appropriate for his announcement to actually be lit. Either way, STADIUM ALERT.